The Department of Education of the Philippine Government has just signed an agreement with the Korean Embassy to make Korean Language available in public high school of Philippine Education. 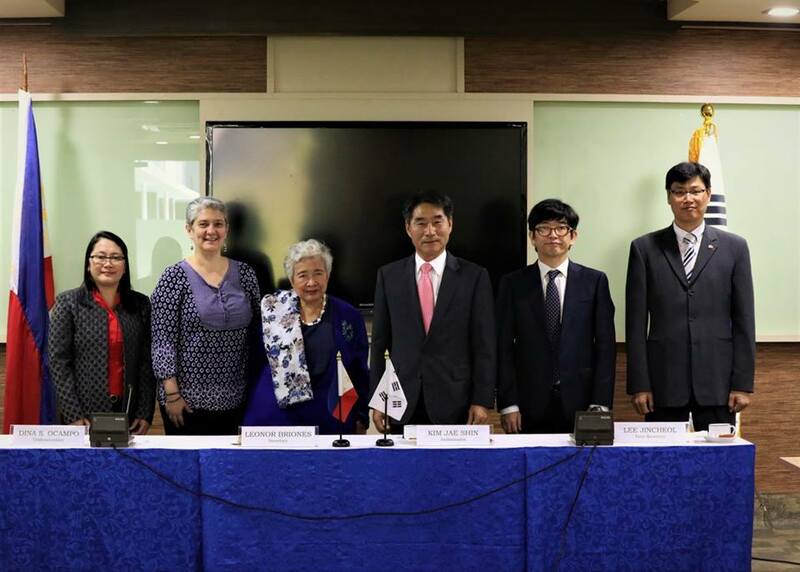 With the Presence of Secretary Leonor Magtolis Briones and undersecretary Dina Ocampo, the Korean Ambassador to the Philippines together with First Secretary Lee Jincheol have favored the said agreement as it can greatly help Filipino who want to learn the Korean language for any purposes. The Korean language learning will be made available through the Special Program in Foreign Language (SPFL). The availability of this program is an advantage to those who dream to work in South Korea. More and more Filipinos are dreaming of going to Korea for work, however, one of the most basic requirements to work in Korea is to learn their language first. There are several Korean Language Training Centers in the Philippines but due to the cost of training, some could not afford to enroll. With the availability of Korean Language learning in high school, aspirants may not need to enroll in private language training center because they can learn it already in their respective schools. Kdrama fans can also benefit from this because they no longer need to rely on subtitles in watching their favorite Korean drama. Of course, the ability to speak the language of their oppa can make an ultimate fangirling experience. The Philippines, aside from the dialects, can speak Filipino and English. I guess it’s high time to add one more language and learning Korean could be an interesting idea. What do you think? No doubt this is an excellent post I got a lot of knowledge after reading good luck. Theme of blog is excellent there is almost everything to read, Brilliant post. Willena Casillas Awesome blog. I enjoyed reading your articles. This is truly a great read for me. I have bookmarked it and I am looking forward to reading new articles. Keep up the good work!